Stainless Steel Square Bar - Nickel Alloy Square Bar | Stainless Shapes, Inc. When you purchase square bars from Stainless Shapes, we promise that all of our metals are tested and produced to the highest standards. We have over 25 years of experience in the stainless steel and always deliver the highest quality for our customers. Cold Drawn: Cold drawn is the best way to form square bars because of the concentrated forming required. This process would involve the hot rolled process and then, of course, be further formed into the square form that is required by the client. While cold drawn square bars will be stronger in quality, they are sometimes not necessarily necessary for the task at hand. Hot Rolled: For steel sizes in between 3” to 8”, we can offer hot rolled versions of these square bars at the request of the purchaser. The size and durability of the hot rolled process allow us to have quicker service for those who need square bars. Note: Orders over 3” are still considered special orders to make sure to ask about the special order policy when contacting your sales advisor. 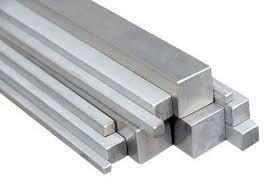 For our square bars, we provide these products in stainless steel as well as the nickel alloy. 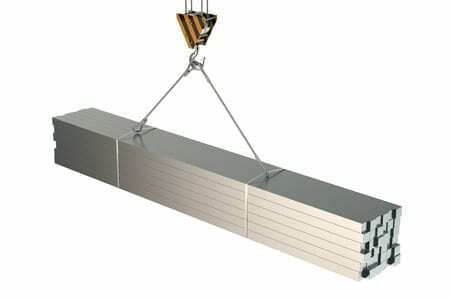 Stainless Steel Square Bars – We provide stainless square in 303, 304, 316, and 416 other grades available on request. Nickel Alloy Square Bars – We currently offer 14 types of nickel alloy, all of which can be forged into square bars upon the client’s request. The most commonly requested nickel alloys are 200/200L, 405/405L and 718. DFAR and Domestic material available on request. While we choose the best mills on the market regardless of region, we prefer to choose material that is American made. We do stock NonDFAR in some sizes and grades with lower costs. If you are interested in purchasing DFAR or Domestic material, remind your sales rep to ensure that you receive DFAR or Domestic certified material. *Not All metal used in government or defense contracts requires DFARS’ standards.